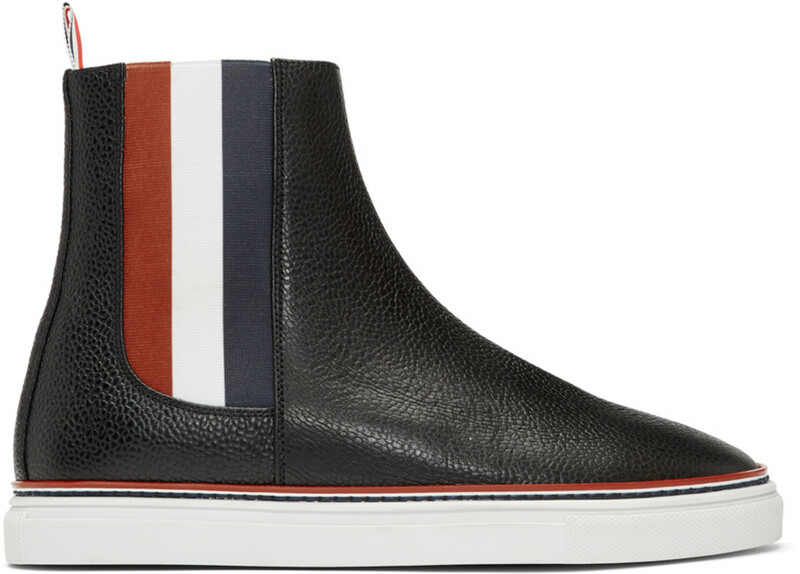 When luxe meets casual, watch out! 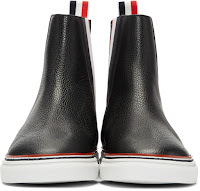 Especially in the hands of the brilliant and talented Thom Browne. 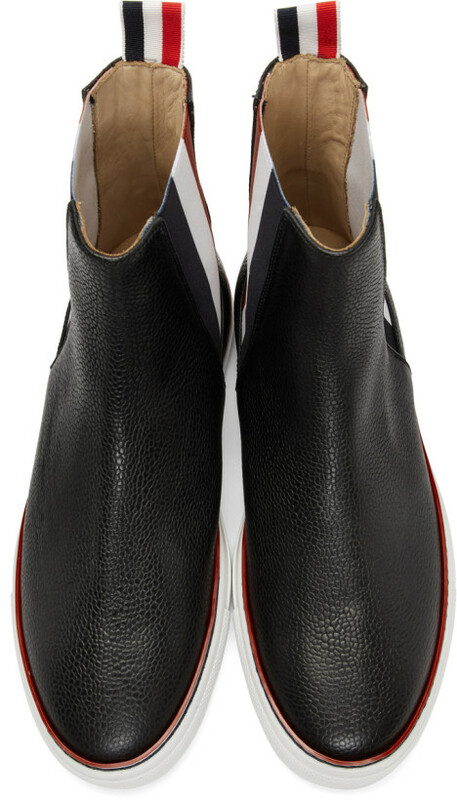 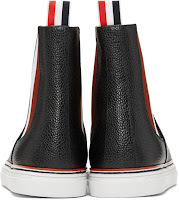 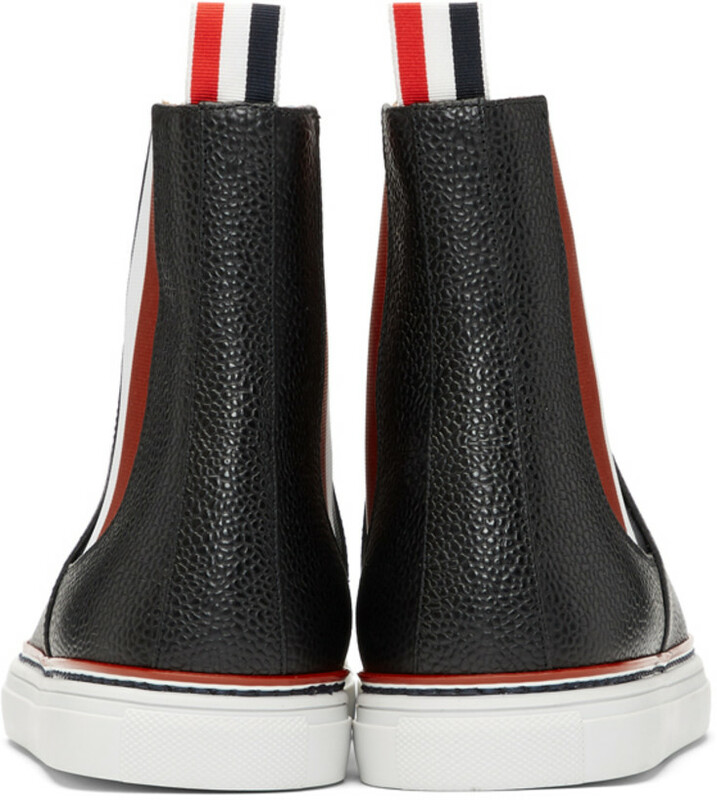 His Black Trainer Chelsea Boots are a cool mash-up on luxe with the premium pebble grain leather upper complete with his signature red, white and blue detailing on grosgrain tabs, elasticized paneling and midsole edging. 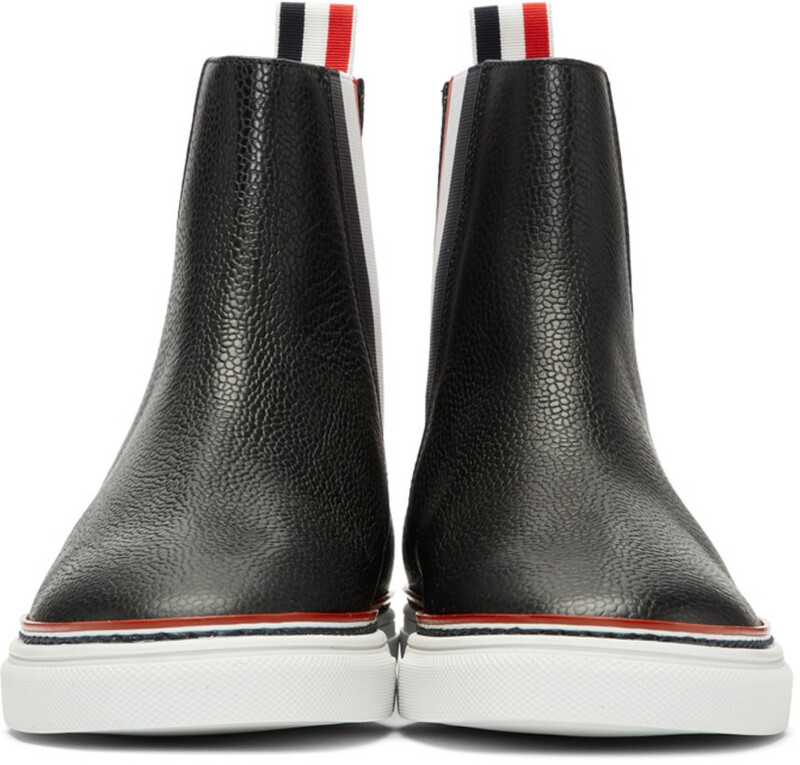 The casual ushers in with his crisp white rubber sneaker sole to add a laid-back but no less suave air to this boot. 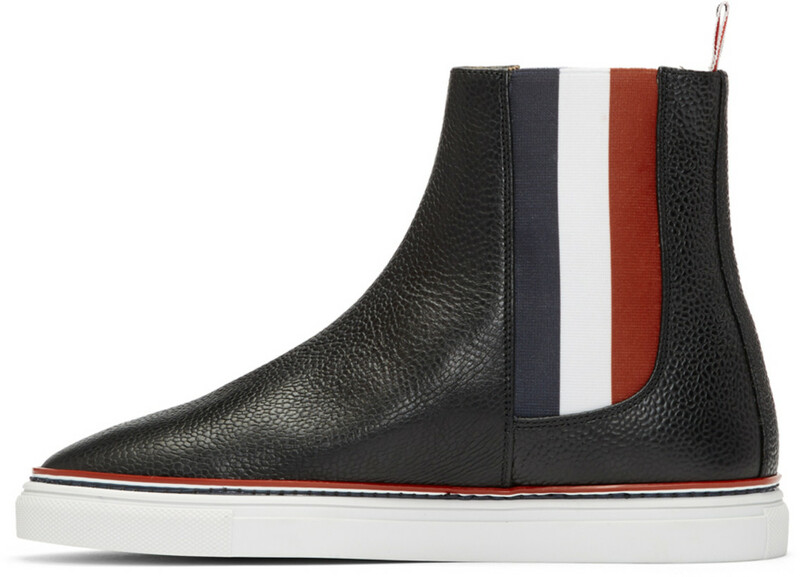 Pair this with cropped trousers, highbrow trackies and/or cuffed denim alike. Available now at Ssense.com.